Author(s) Chiang, Hsiao-Dong; Alberto, Luís F. C.
This authoritative treatment covers theory, optimal estimation and a range of practical applications. 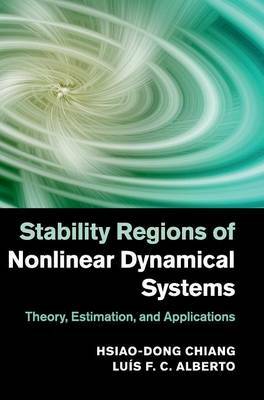 The first book on the subject, and written by leading researchers, this clear and rigorous work presents a comprehensive theory for both the stability boundary and the stability regions of a range of nonlinear dynamical systems including continuous, discrete, complex, two-time-scale and non-hyperbolic systems, illustrated with numerical examples. The authors also propose new concepts of quasi-stability region and of relevant stability regions and their complete characterisations. Optimal schemes for estimating stability regions of general nonlinear dynamical systems are also covered, and finally the authors describe and explain how the theory is applied in applications including direct methods for power system transient stability analysis, nonlinear optimisation for finding a set of high-quality optimal solutions, stabilisation of nonlinear systems, ecosystem dynamics, and immunisation problems.